This holiday season, the classic Supra Skytop has been dressed in Express TUF material for two new colorways developed for Zumiez. This holiday season, the classic Supra Skytop has been dressed in Express TUF material for two new colorways developed for Zumiez. Both the grey and black styles feature contrasting white foxing and soles. A SUPRAFOAM midsole provides enhanced impact protection, while a vulcanized sole ensures optimal flex and superior board feel. 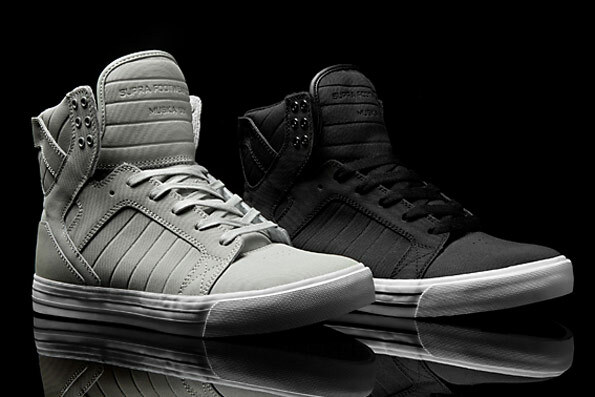 The "Express TUF" Skytop Pack is available now exclusively at Zumiez.